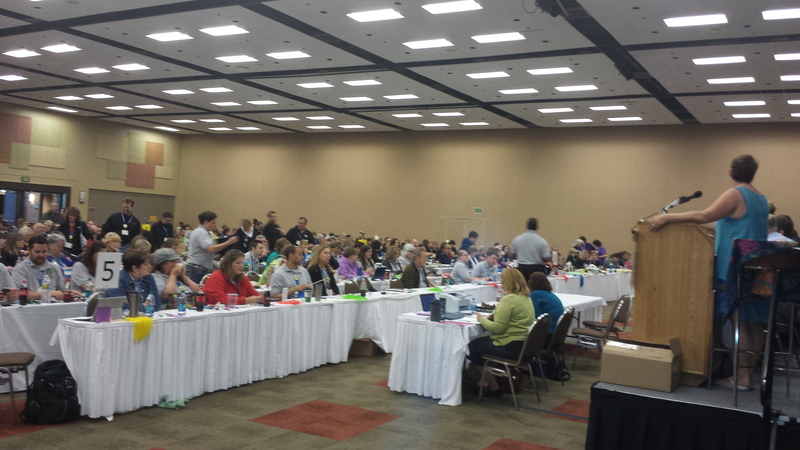 After 2 days of vigorous debate, jokes, and stories, the 123rd annual Idaho Education Association Delegate Assembly came to a close. Teachers from the entire state descended on Boise for the weekend for the event in what is billed as the largest democratic electing body in Idaho aside from the general election in the state. This entry was posted in Uncategorized and tagged Idaho Education Association, Penni Cyr, Travis Manning on April 11, 2015 by Levi B Cavener. In 2010 Idaho’s State Board of Education and business leaders set an objective of having at least 60% of Idahoans holding a postsecondary degree by 2020 while currently the percentage stands at 41%. This is definitely an ambitious goal, needing a lot of efforts and improvement to arrive at. With the recession just having affected the state, economists are trying to look for methods that would allow for sustained growth. One of the key elements that play a part in this is state funded education and loan accumulation. Many analysts have pointed at the need for having a sustainable rehabilitation from loans for students, citing it as one of the cripplers for the newer applicants in the job market. One such method is through improving education and worker skills as that would provide the state with labor who knows how to operate within the contemporary and highly technologically advanced economy. In fact the objective mentioned above was set after a 2010 study conducted by Georgetown University concluded that at least 60% of the jobs by 2020 will require the employees to be having post-secondary qualifications. Since such a competitive environment needs well-educated workforce, improving education is one way to fulfill that demand. The following table lists the percentage of jobs that are expected to be available in 2018 according to educational qualifications. This entry was posted in Uncategorized on April 10, 2015 by Levi B Cavener.